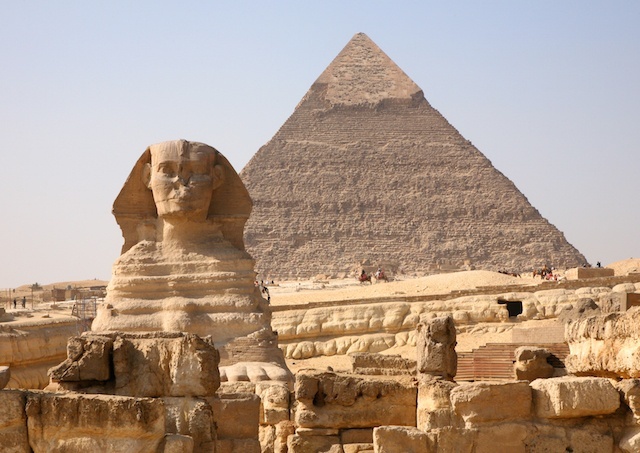 Cairo (Al-Qahira): A city that’s home to the Pyramids, the Sphinx of Giza, the Egyptian National Museum, the beautiful Nile river and shopping in the Khan al Halili Bazaar. Being the largest metropolis in the Arab World, Cairo attracts countless numbers of tourists, students and expats every year from around the world. Anyone who truly wants to understand the ancient and modern history of Egypt, and experience the culture first-hand, must visit the city Arabs call ‘Umm al-Dunya’ (The Mother of the World). One of our travel writers, Patricia A., explores what Cairo has to offer and shares her experience of the largest megacity in the Arab world. Don’t forget to learn a few words of this beautiful language before you go, to really understand this captivating culture, plus read our 7 magical facts about Cairo at the end. 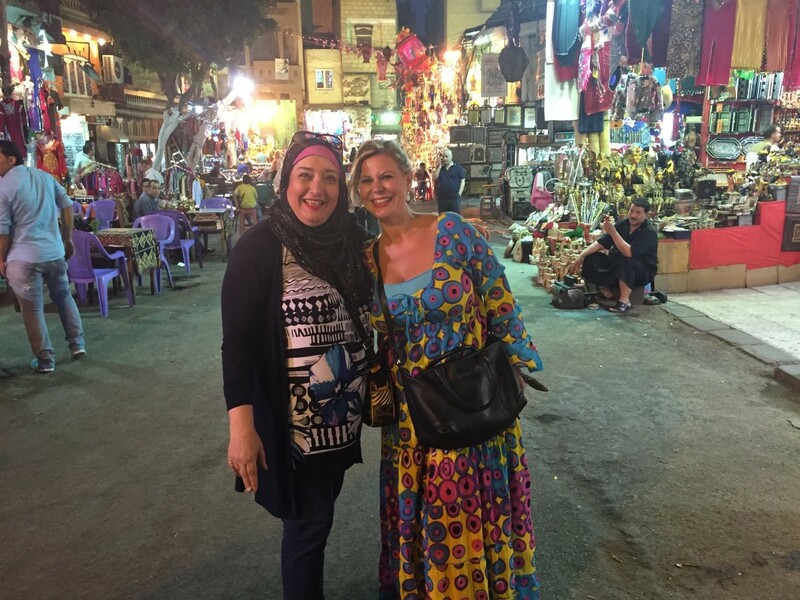 The first time I visited Cairo, I was amazed by the energy and dynamism of the city, the vibrant streets, the smile of the people, the traditions … all of this made me fall in love with the place, as I felt the life of the city. Pyramids? Sphinx? Nile or Belly Dancing? Cairo is so much more than just that. As I toured this charming city, I realized that it is a city full of life, traditions, gastronomic surprises and culture. Away from the usual tourist spots and urban places, I gouged into the soul of the city where the Egyptians celebrate the essence of life on a daily basis. My journey started as I walked in the city, staring at the beautiful design of the mosques integrated in the neighborhood along with the Coptic churches, where Christians and Muslims live together side by side, and the river Nile weaves through neighborhoods like a sleeping snake. You could take a “Faluka” (traditional wooden boat) and float along with the soft movement of the water, enjoying the stunning landscapes on both banks, while listening at the same time to the legendary songs of ‘Umm Kulthuum’. Breathing deeply to enjoy the wonderful exotic aromas, meeting friendly locals, shopping at the ancient Khan al Khalili bazaar… Sitting in the Al Fishawi cafe, having tea in the traditional cups, or sometimes coffee, with the aromatic smell mixed with the sweet scent and of the shisha, the sound of the bubbles, the dice jumping in the games of ‘Tawla’ (backgammon), the noise of the crowded people in the souk faded and I forget the time, thinking I could stay for ever and ever in a tale of 1001 nights. Egyptians are friendly, genuine and easygoing, people. There’s magic in the way they draw a smile to your face during your stay, making you feel you are one of them, making you feel sad as you leave this ancient city. It’s simple: open your heart and soul to this magnificent city, feel the rhythm of the life, embrace the hospitality and generosity of its people, immerse yourself in the society and learn a little of their language, their traditions and values … then you will feel alive. P.S Don’t forget to be adventurous with the local dishes. 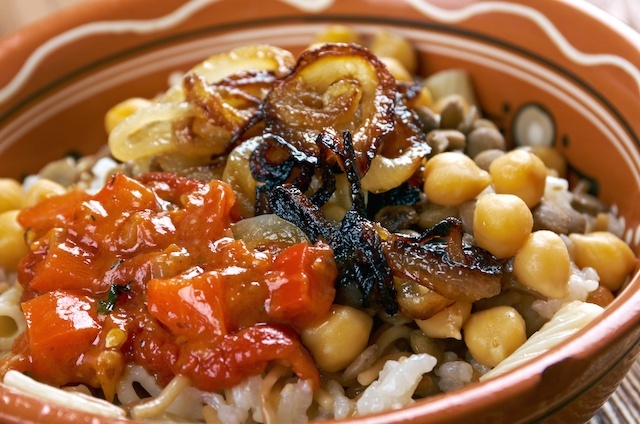 Food you really must try in Cairo: falafel, kebab and kofta, and koshary (a dish made of rice, macaroni, and lentils and topped with chickpeas, onion and a special tomato-vinegar sauce. Why 7 facts, not 5 or 10 etc? Simple! 7 is a magical number in Egypt. There are 7 ancient Egyptian Gods, the number 7 represents the God Set or Seth, the ancient pyramids of Giza are one of the ancient 7 wonders of the world. The number 7 and it represents the symbol of eternal life for Egyptians, symbolizing a complete circle. Cairo is the largest city in the Arab World. More than a quarter of all Egyptians live in Cairo. It’s the only city in Egypt with daily newspapers. The second oldest and best known Al-Ahram (meaning The Pyramids!) founded in 1876 in Alexandria. Soccer is Cairo’s most popular sport with a team that competes internationally. Primary education is free and compulsory, and university tuition has been free since 1962. In 1925, Cairo won the title of the most beautiful city in the world, even though European cities like Berlin, Paris and London were also competing. 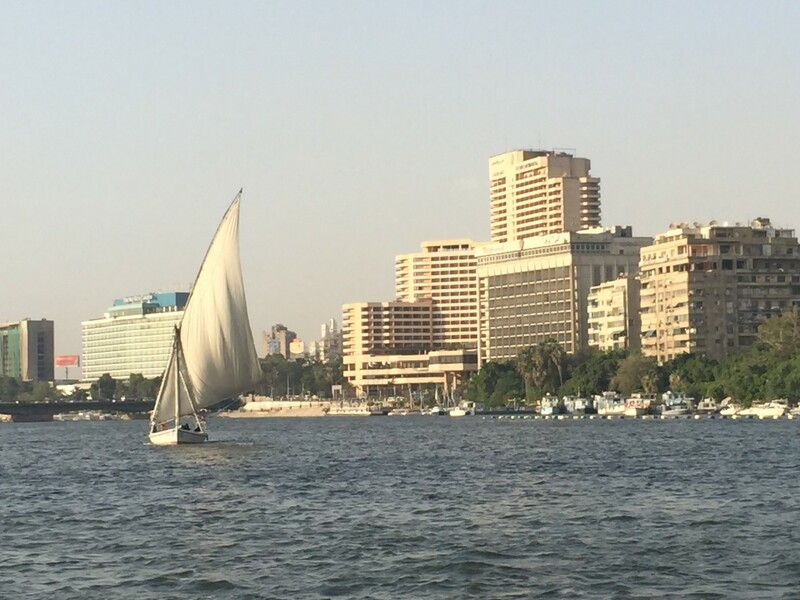 Because the Nile, like all rivers, has shifted its path over the years, there are parts of the city that are very close to the water, such as Garden City, Downtown Cairo and Zamalek, while other areas are farther away. 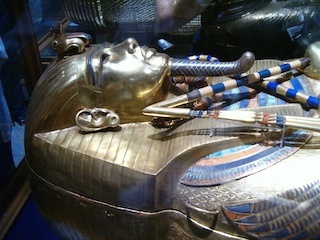 The Egyptian Museum at Maydan Tahrir (Tahrir Square) houses the city’s premier collection of over 100,000 artifacts from nearly every period of Egyptian history, including Tutankhamen’s famous mask! Remember to learn a little Arabic Egyptian before you go, to “draw a smile” in Cairo!